First association for Lexus name is luxury vehicle. 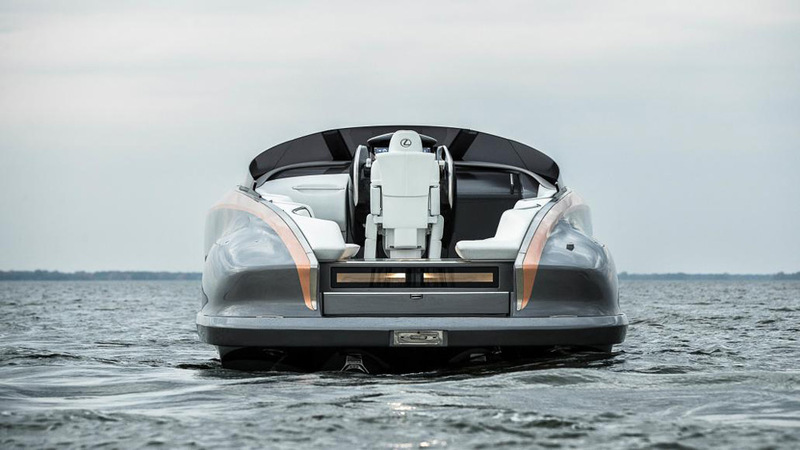 But now, luxury vehicle division of Japanese car maker Toyota enters yacht world with new 885hp open sports yacht. Called the Lexus Sport Yacht Concept, it’s a design study created to explore what the Lexus brand and its design values might look like when applied to things other than new cars. 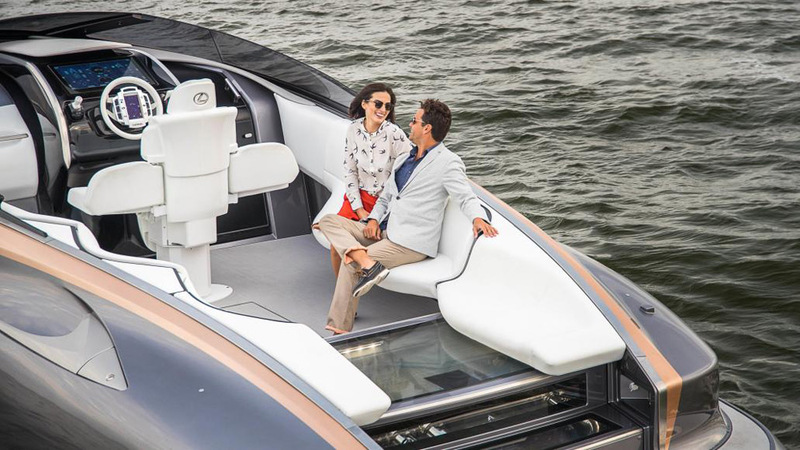 The idea for the luxury yacht first came to mind when Toyota Motor Corperation president Akio Toyoda was trying out one of Toyota’s Ponam premium yachts. 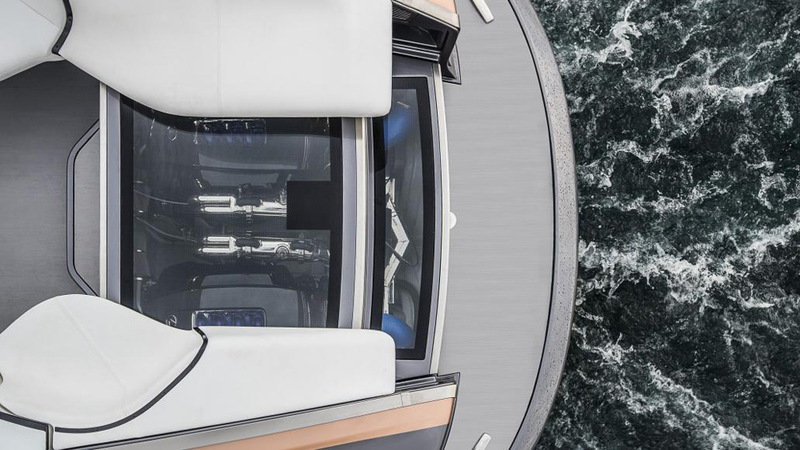 The Sport Yacht can carry eight people and features a lightweight construction using composite materials. 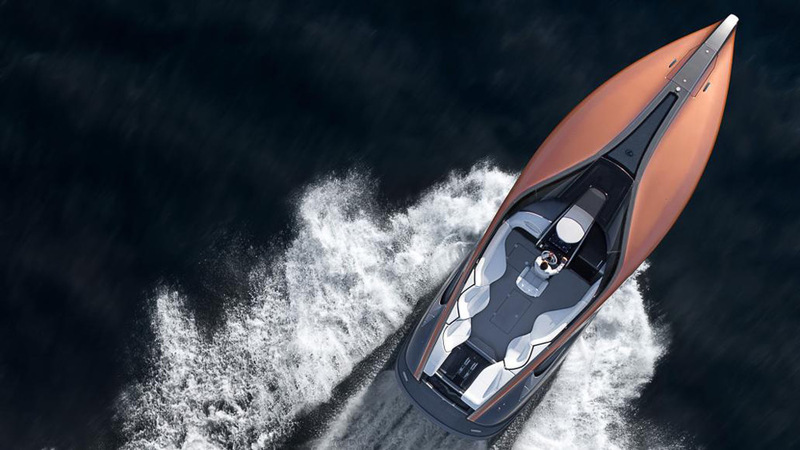 The design of the Lexus Sport Yacht concept has the upper deck and outer hull seamlessly bonded around the inner structure, each piece CFRP. CFRP is the technology used in the structure of racecars and supercars like the 202 mile per hour (325 kmh) 553 horsepower Lexus LFA, high-performance military and civilian aircraft, competition skis and bicycles, and world-class racing sailboats. The cabin is finished in leather with wood and glass trims, and features sofa seating for six plus a table. The Lexus galley features a two-burner stove, sink and under-counter refrigerator; a beautifully finished head includes a shower. 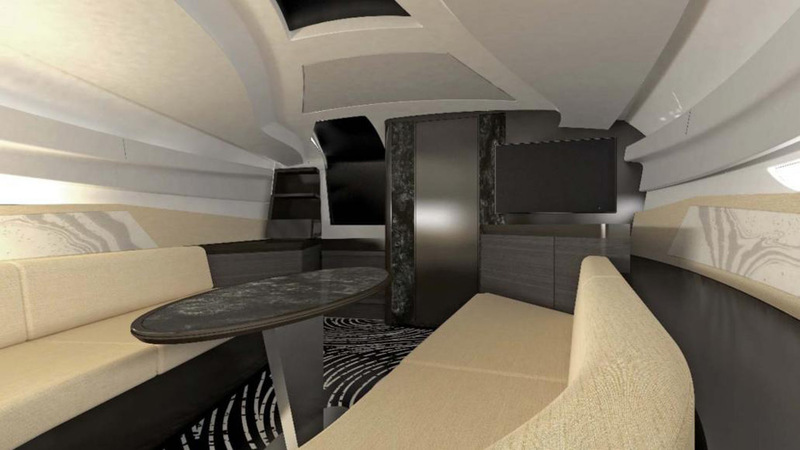 A 4G Wi-Fi enabled audio and video entertainment system is networked around the yacht. 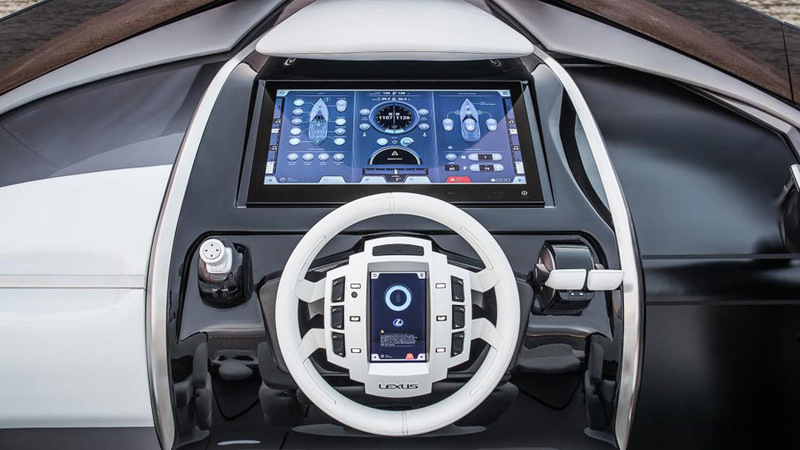 For the captain, there’s a touchscreen panel for all of the on-board controls and systems, plus a power adjustable seat with fold out armrests that double as jump seats on either side. Powered by twin 5.0-liter V8 gasoline engines based on the 2UR-GSE high-performance engine of the Lexus RC F coupe, the Lexus GS F sport sedan and the new Lexus LC 500 grand tourer, the 42-foot long boat can reach a top speed of 49 miles per hour, or 43 knots, according to Lexus.